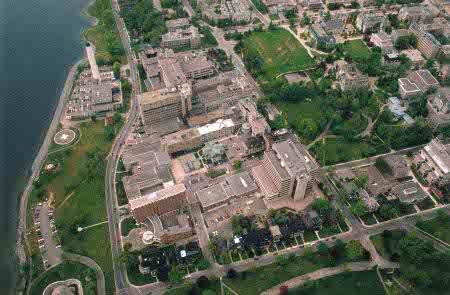 Surrounded by the campus of the prestigious Queen’s University; Kingston General Hospital, an acute care teaching hospital, is home to the internationally recognized Environmental Exposure Unit (EEU). This unique facility, conceived and pioneered by Dr. James Day and Dr. Reginald Clark in the early 1980s, has been refined and developed over the past two decades garnering it recognition around the world and bringing to you an innovative new way to conduct allergy research trials. As a fully validated and GCP compliant research environment, the EEU has been used to evaluate the onset of action and efficacy of antihistamines, nasal corticosteroids and other investigational medications in the treatment of allergic rhinitis and resulted in studies undertaken by a majority of the multinational pharmaceutical companies involved with anti-allergic treatments. 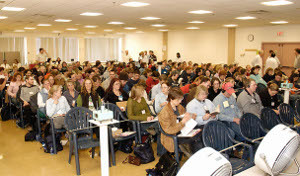 As a highly controlled indoor environment, the EEU eliminates the variables of weather, participant environment, and the changing antigenicity of seasonal ragweed so that studies can be conducted at any time of the year and participant responses to the allergen of interest can be readily evaluated. The EEU is recognized by the U.S. FDA and European Medicines Agency (EMEA) as a means to assess onset of action of anti-allergic treatment. The EEU is designed to deliver controlled reproducible levels of allergen, for example ragweed pollen, to allergic participants. The EEU’s allergen dispersion system circulates pollen through the room at peak-pollen levels typical of a late-summer day. Participants – from 5 up to 140 at a time – are exposed to pollen in a conducive environment. Allergic volunteers experience typical allergy symptoms and with guidance from physicians and researchers, detect and record their response to anti-allergic medications. EEU research has shown that participant are able to detect differences in their responses to different medications and doses, and when studies are repeated the results are reproducible, even when trials are conducted at different times of the year and years apart. This means that conclusions drawn from EEU research are highly reliable and can be applied in medical practice.